One of the great things about Qvcuk is the fantastic Todays Special Value collections they do each day. 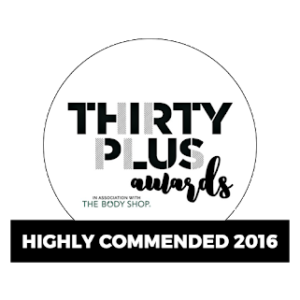 Top skincare and make up brands are able to bring us unique and exclusive collections at a fraction of their own retail price, which is amazing. This coming weekend, 6th August 2017, Laura Geller brings us The Gilded Collection. Included in this boxed set are six full sized make up items that can be used alone or slotted into an existing make up routine. Whether you are new to the range or a devoted, long time Geller Girl, this is sure to be a collection that will brighten and inspire you. Containing the iconic Gilded Honey Highlighter, this collection is sure to look beautiful on all ages and all skin tones. Lets take a look inside the box. The iconic, one stop shop to flawless skin, baked foundation from Laura Geller is, of course, included in this collection. 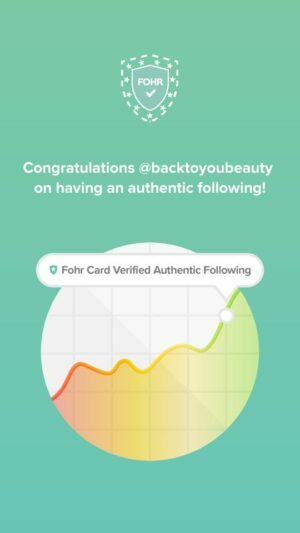 Now, I know many people have a huge stock of this foundation, but for people purchasing for the first time, it is fantastic that they get to creat their perfect canvas with this product. Balance-N-Brighten Foundation is created from liquid pigments which are baked in Italy for 24 hours on terracotta tiles. This means, even dry skin can use this without it causing further dryness, caking or adding a cracked look to the skin. Regular readers of mine may know that I have incredibly dehydrated skin, caused by medication. Therefore my 42 year old skin has to be very, very careful what it wears. I usually always choose a liquid foundation because of this, however I have been wearing Laura Geller B’n’B for many, many years without compromise. 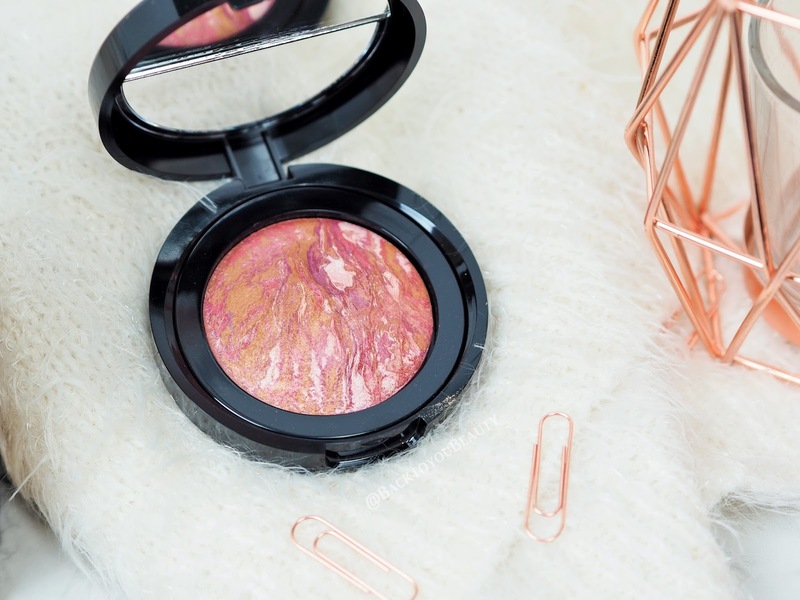 ﻿ Making sure my skin is moisturised well and primed before application, I swirl my brush into the marbled compact, picking up a little of each colour and buff it over my face. 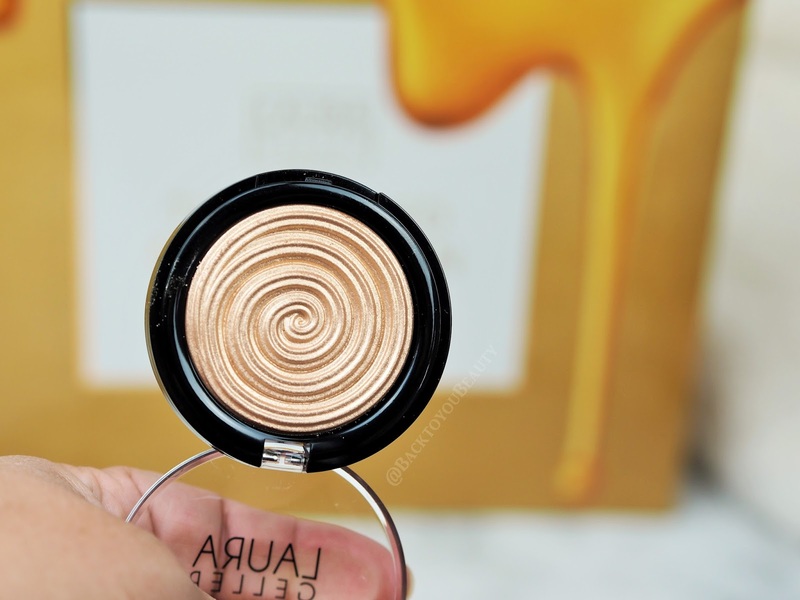 Instantly the light reflecting particle’s brighten my skin, the darker shades cover any blemishes and pigmentation and it colour corrects my skin whilst leaving a lovely, natural looking finish and even coverage . This foundation can be expertly applied by you in seconds! It is easily build-able and you can pick out certain colours from the pan to give more coverage over a blemish, or use over the eyes and create your own bespoke look. 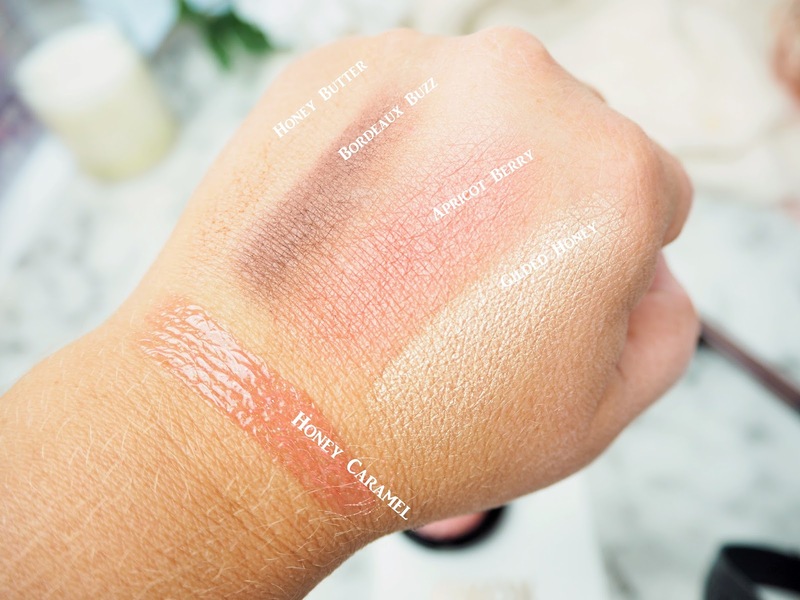 If you have never tried one of Laura’s Baked Blush products you will fall instantly in love. 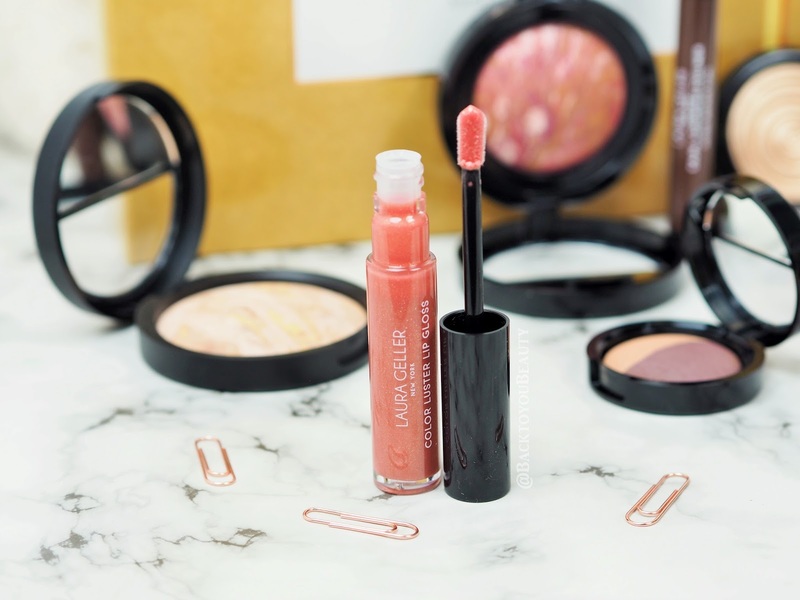 The colours are pure pigments of liquid that have been baked on terracotta tiles in Italy and infused with great skincare ingredients such as Centella Asiatica and White Tea Extracts. They will not dry out the skin or look flaky, but glide on effortlessly creating a buildable flush of beautiful colour. They are super long lasting too and can be used as eye shadows . Containing swirls of coral, apricot and berry shades that blend together to give that perfect hit of a flush. Darker skin tones can easily blend for a more dramatic look, and paler tones can use a lighter hand for their skin tone. A very flattering shade that sits well on the apples of the cheeks, sweeping gently back towards the top of the ear. Yes! 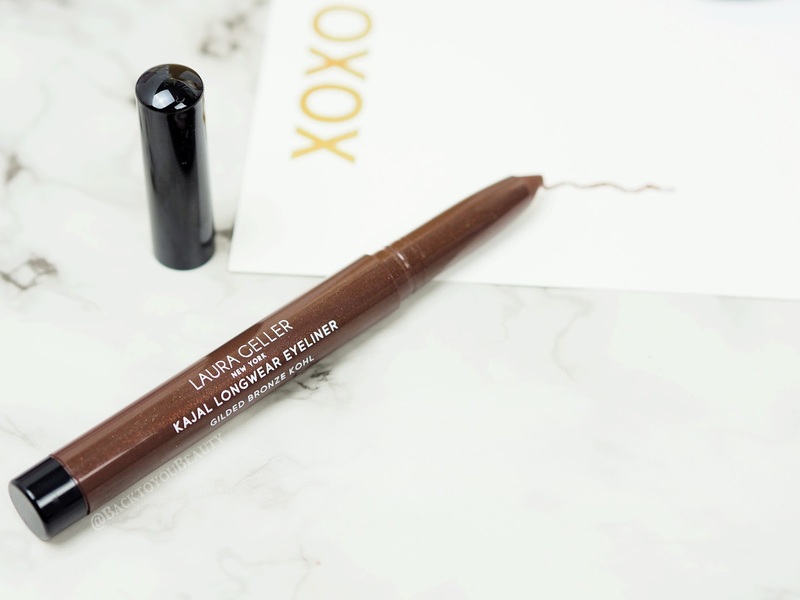 I have so many of these portable little eye shadow duos from Laura Geller. They are super handy for travelling when you really don’t want to haul a huge palette around with you. Don’t be deceived by the size though as they really last a long time and in my…wow….15+ years of using Laura’s Products, I still do not think I have hit pan on an eye shadow. Inside the pot is a little mirror which, yes is tiny, but does come in handy in an emergency, then your shadow duo. For an incredibly simple, yet effective look that will get you out of the house in seconds, take the shade Honey Butter and apply over the lid, then with a fluffy blending brush pick up the shade Bordeaux Buzz and gently blend it into your crease and outer corner. These shades are buttery soft, deeply pigmented and literally stay put all day with NO fallout! Plus, as these are also a baked liquid, they can be used wet, meaning they are fab as eyeliner shades or for a more intense eye shadow look. I love these warm tones (Honey Butter is a creamy, warm, matte Honey tone, with Bordeaux Buzz being a Truffle shade) on my blue/green eyes just as much as I love how they look on dark eyes. They have a special way of picking up any flecks in your eyes and making the eyes look bigger. As they are a matte shade too, they are very flattering on hooded eyes or more mature skin. Beautiful. Beautifully complimenting this collection is this silky, soft and creamy Kajal Eyeliner. The warm brown shade applies so easily without needing any pressure, meaning it doesn’t drag the skin on the eyes. 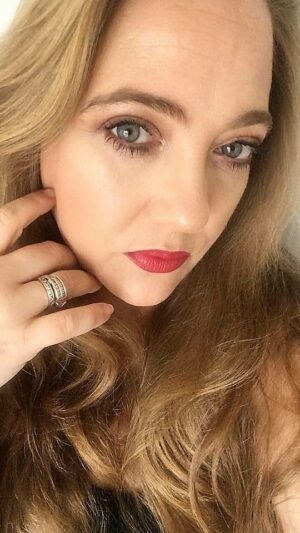 It is easy to apply to the top or bottom lash line and works lovely over a false lash band to make the eyes look more defined, but less harsh than if you were wearing black. Literally lasts all day without smudging. Full of antioxidants and luscious oils to protect and hydrate the lips, this is skincare as well as lipgloss. This moisturises as well as gives the lips a lovely high shine glossy look, without any of that nasty tacky, sticky feeling. Also this does not smell of vanilla or mint for those of you that dislike scented gloss. It applies precisely due to the rounded, soft doe foot applicator and the light caramel hues with just a hint of grown up shimmer look very pretty. Obviously on everyone’s lips the shade will look different, on me it looks more pink, but I really like it, it also looks great over my matte lipsticks too as I have played around with that. Lipgloss by nature does not last long, but its quick and easy to top it up during the day. Finally, the Piece de resistance, for me any way is this glorious, all singing, all dancing, angels flying down from Heaven, gloriously beautiful Gilded Honey Highlight. Can you tell i am a fan? This is just so incredibly beautiful and a HUGE favourite of mine. This “Effervescent caramel honey shade” adds the most beautiful sheen and glow to the skin. Use it on the highpoints of the face to create the illusion of a youthful glow and you will be wondering how you ever survived without it. It applies as easily as a powder yet gives the look and feel of a cream so doesn’t cling to the skin or show up the pores, it just looks beautiful. I use this as my cheekbone highlight my brown bone highlight, across the cupids bow and on sunny days on my shoulders and décolleté. It is something special. This complete collection comes boxed ( which is the only thing I don’t like as I find the design a little garish) and makes for a beautiful gift. Each full sized item compliments each other wonderfully and as mentioned above can be used on all skin types and tones due to the build-ability and skincare ingredients. This collections is exclusive to QvcUK only as a Todays Special Value (TSV) for one day or whilst stocks last on Sunday 6th August 2017 at just under £42.00 HERE. 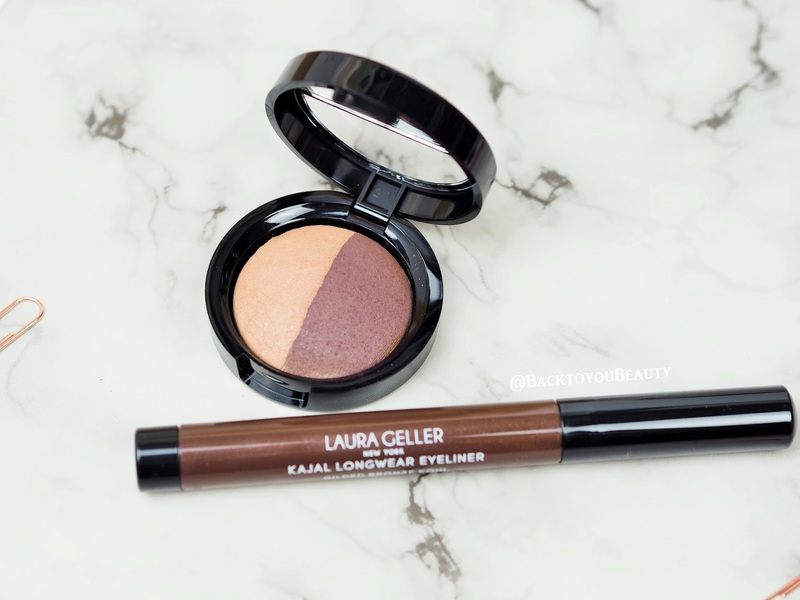 Have you ever tried Laura Geller before? Perhaps this is your first purchase? I would love to hear your thoughts so please leave me a message below. 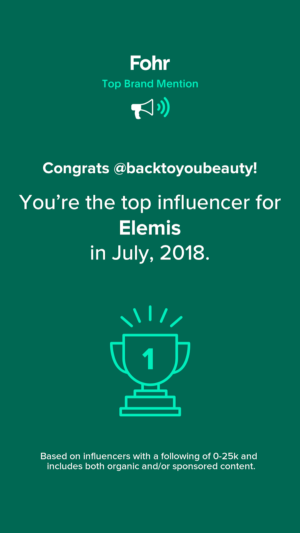 "July Beauty Discoveries – Make up and Skincare finds!" "Judith Williams Anniversary Skincare and Perfume Collections"
I do love Laura geller!!! Thank you for sharing!!!!! I love LG product's and I can never have enough BnB. It always comes in handy. Love the look of this collection. It looks warm and inviting. Soft and silky. A definite buy for me. Great descriptive write up as usual. I don't need any more makeup but know for a fact that I will give into temptation as this set is lovely. I need Gilded Honey in my life. My favourite shade is Charming Pink. That is such a good set! 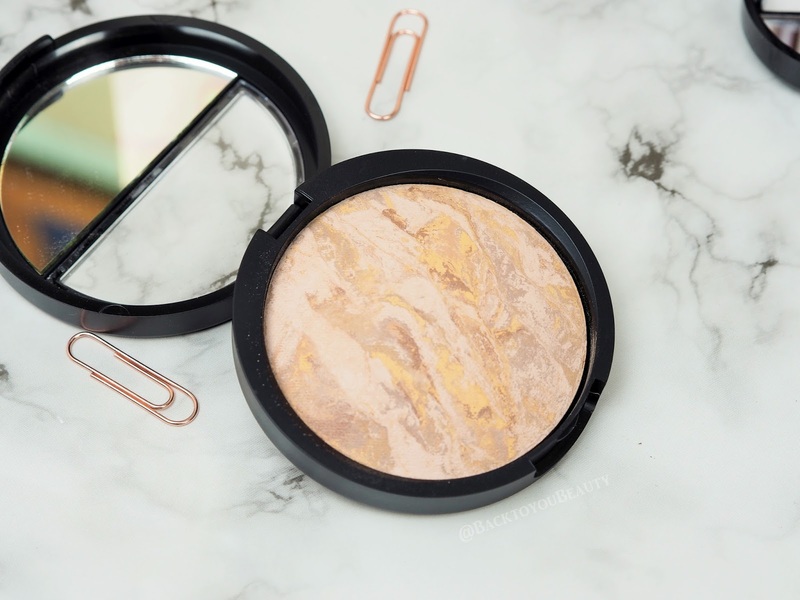 I love the look of the highlighter so so much! What a lovely review! I love all of the products in this set, even though I have not tried Kajal sticks – yet!